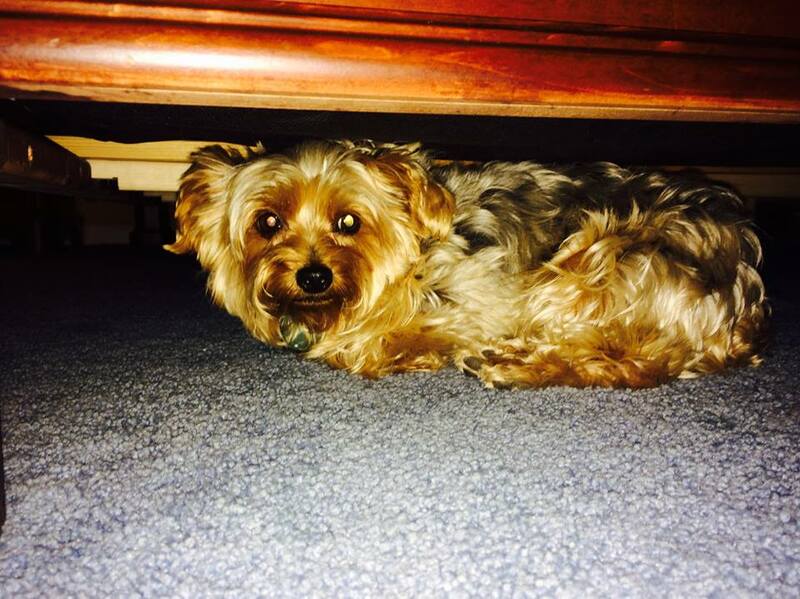 Artie’s favorite place, besides on our laps, is under our bed. If Artie can’t be found, we know where to look. Even Buddy and Coby can find him there. 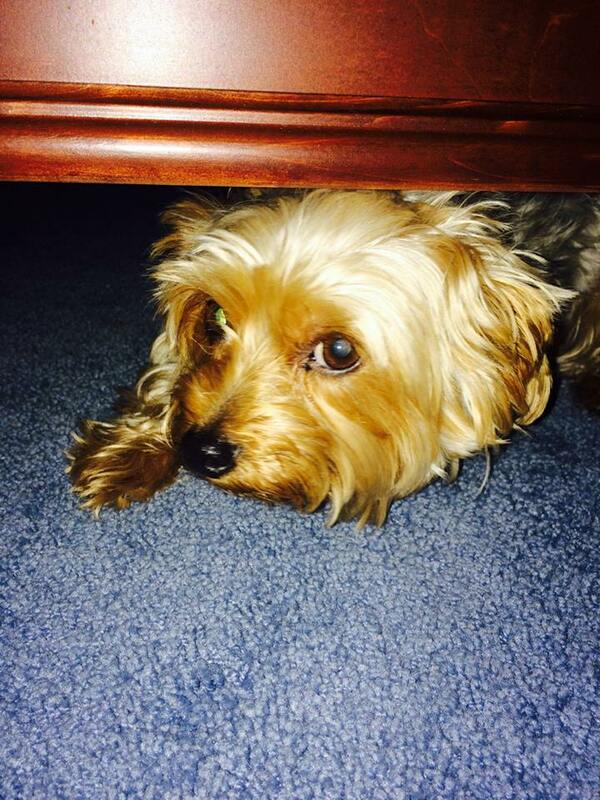 Artie will go under the bed often, and always in the same place! There will be a small imprint of him in the carpet one day. One of the unusual things about Yorkies is many of them like to play hide and seek. My dogs love it when Dave runs and hides. They run around frantically trying to find him and they won’t give up until they do. It is so cute!!! They get so excited (their tails give it away) when they find him. So one day when Artie was under the bed I decided to play a little game with Buddy. I asked Buddy, “Buddy where’s Artie?” over and over again. Buddy eventually found Artie, and Artie came out from under the bed. Their excitement was incredible, like they hadn’t seen each other for days. We don’t always play this little game when Artie’s in his safe place, but when we do the reaction is the same. So today, I had that opportunity. Artie was in his safe place so I asked Buddy and Coby where’s Artie?? Check out the video of them below. So happy for Artie’s safe place and dogs who love each other so much! Any idea why I’m not seeing a video link. I see two photos. Here is something that needs correction: *They were run around* …. You are becoming a star of my blog!!! Thanks!! I have the best dad!!! I love when I see comments from bloggers parents. My mom used to comment on my blog all the time!! Your dogs are SO CUTE!!!! Thanks. I asked my dad to proofread my writing. He’s the best! So cute! Does Artie get scared or does he just like to be alone? Sophie hides in my sheets. I’m always afraid she will get squashed. Both – he likes to be alone and sometimes he’s scared. Thank you!!! I love my dogs and my dad. Dad is starting to become a star of my blog too! Thank you. He’s the best!